This book based on Christian teachings is a sample collection of Wedding Vows that can be used in full or as guidelines for the couple's own personal vows. 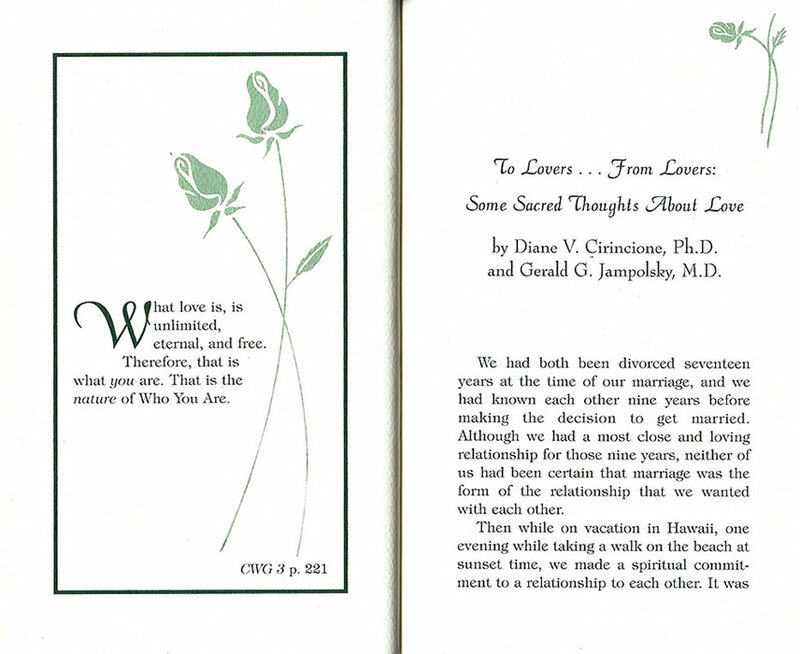 The authors of The Wedding Vows have presented here their actual vows from their own wedding. 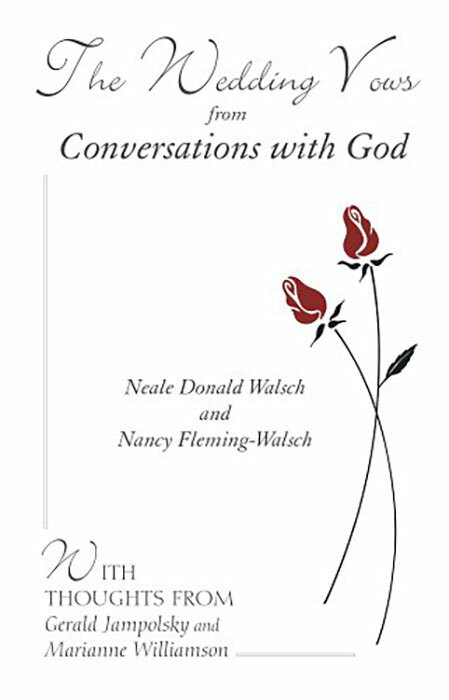 The Wedding Vows is the third book in the series "Conversations with God" by the couple Neale Donald Walsch and Nancy Fleming-Walsch. This book is a perfect example for any couple to write their own vows from or they could use the vows word for word. The vows on these pages are thoughtful, articulate, and universal.